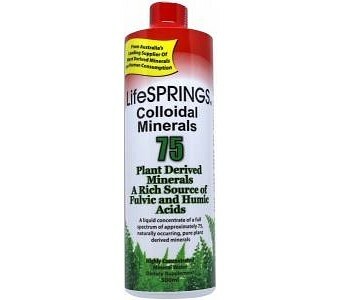 LifeSprings Colloidal Minerals is an effective source of organically derived minerals in a colloidal form that is non-toxic to the body, providing all the essential minerals to assist the proper functioning of the body. Derived from plant deposits in the Thomas Jefferson Clark Miller Rock Mine in Utah. 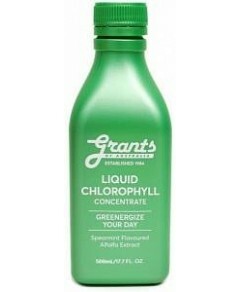 Minerals are absorbed from the soil through the root system of the plant, and converted to Colloidal Minerals. This is the form that our body can use in its natural absorption process; in fact they are 98% absorbable by our body. Colloidal Minerals are more readily absorbed form of minerals due to the size of the suspended mineral in the liquid (less than the size of a blood cell) and also that the carry a slightly negative charge and they are easily attracted to the positive charge of our stomach lining. By taking Colloidal Minerals you can assist the absorption of vitamins, increasing the efficiency of other supplements.